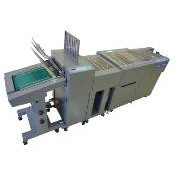 GBC South Australia offers a large range of card cutters and creasers. Business Card Cutter. Cuts 8 or 10 standard size business cards per page. 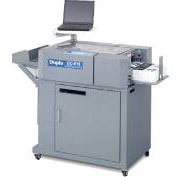 The DC-615 has a maximum ability of 15 cuts and 10 creases on the one document. 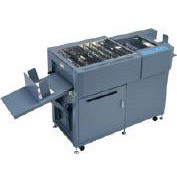 It can also handle a maximum of 300gsm paper. Slit , Cut, Crease in one single machine. Features up to 6 slits, 15 cuts, & 10 creases. 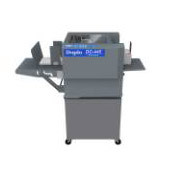 This is a low cost creasing solution for the short run digital colour print market and for litho printed work that would traditionally have needed finishing on a platen. 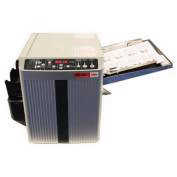 An integrated module which provides folding and high capacity stacking to the end of the DC-645. 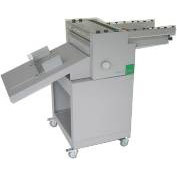 This is an industrial creasing machine available in two different feeding widths - 450mm and 750 mm.